WASHINGTON—Thanks to a conservative, common sense approach to criminal justice reform, Texas has seen a dramatic drop in crime during the past decade while incarcerating fewer people. That’s right: locking people up and throwing away the key, as it turns out, is not always the most effective way to stop crime. It is also an expensive and inefficient way to spend taxpayer dollars. And as conservatives, our commitment to limited government dictates that we think outside the cell to distinguish between those who pose a threat to our communities and those who can be rehabilitated. 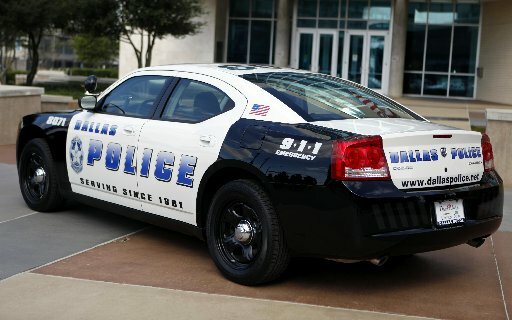 Texas decided to become not just tough, but also smart on crime. Beginning in 2007, the state legislature started exploring alternatives to incarceration and endless prison growth, in search of a solution that would lower the rate at which prior offenders commit new crimes after release. In Texas’ case, the solution began with directing more funding toward mental health and drug treatment while implementing better probation and parole policies. Acknowledging that almost all inmates will end up getting out of prison sooner or later, instead of spending upwards of $2 billion for new prison beds, the state invested a fraction of that in alternatives such as drug courts and proven treatment programs behind bars. The savings were reinvested as Texas learned of more evidence-based ways to improve the corrections system and help it accomplish its mission of rehabilitating low-level offenders, providing restitution to victims, and reintegrating people into the workforce. In other states the specifics have varied, but the principles are the same. And the results are impressive. Georgia and South Carolina reduced their crime rates by 11 and 14 percent, respectively, according to the Pew Charitable Trusts. And in Texas and North Carolina, crime rates have dropped by more than 20 percent, according to recent data. On Capitol Hill, too often, state-level victories are not translated into federal reforms. But the successes of state-based criminal justice reforms can’t be ignored. We may be biased, but the Texas model is worth bringing to the rest of the country. Now Congress has that chance. The Sentencing Reform and Corrections Act is a bipartisan bill that incorporates many of these policies that have proven effective in conservative states – our laboratories of democracy. Importantly, this legislation will also help restore a key part of our criminal justice system that is too often forgotten: rehabilitation. Through education, job training and faith-based programs, low-level inmates will learn valuable life skills that they can take back home to their communities, helping them become productive members of society. Because this legislation will go further in making our communities safer, it’s widely supported by law enforcement groups across the nation, including the National District Attorneys Association and the Major County Sheriffs’ Association. Ultimately, this bill has the potential to build on the strengths of the reform efforts in Texas and other states, to save taxpayer dollars and reduce crime rates across the country. It is time that the federal criminal justice system was made more like Texas. With the Sentencing Reform and Corrections Act, Congress can take an important step to bring the entire nation a bit closer to that goal.